What would you do if you received a letter from your doppelgänger? Now, what would you do if you met this so-called doppelgänger and they looked and behaved absolutely nothing like you? This is the situation Paul finds himself in the middle of in the clever absurdist comedy, Doppelgänger Paul. In what could almost be considered the adorable Canadian cousin of Spike Jonze’s Adaptation, Doppelgänger Paul tells the story of the unlikely relationship of two lonely men whose connection sets off a chain of events resulting in the loss of a thumb, the theft of a manuscript, and two appearances on a popular Vancouver morning talk show. 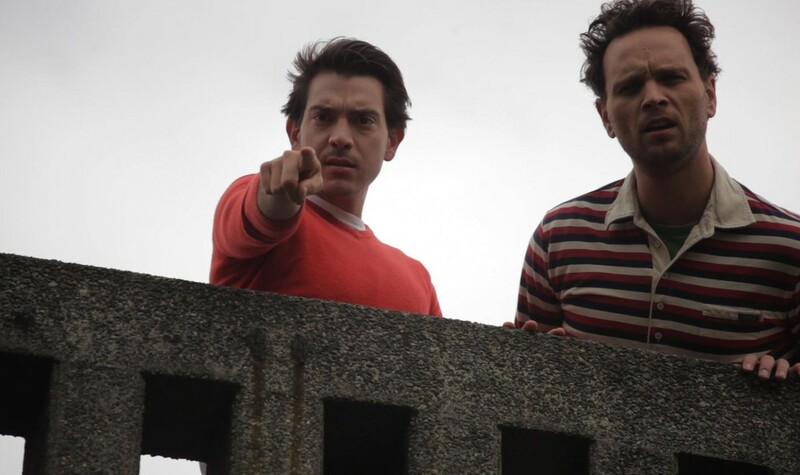 Doppelgänger Paul (Or A Film About How Much I Hate Myself) is a simple comedy so complex that it required the efforts of two directors, two producers, three editors, two cinematographers and two titles to make. Directed by Dylan Akio Smith and Kris Elgstrand, co-directing for the first time, the award-winning team behind previous TIFF offerings Man Feel Pain (Winner, Short Cuts Canada Award, TIFF 2004), The Cabin Movie (TIFF 2005) and Big Head (TIFF 2009). "Doppelganger Paul will baffl e as many people as it delights, but it’s certainly unique. The Filmmakers were determined to chart their own course, damn the torpedoes, and they have succeeded." Nick Douglas is a documentary fi lmmaker’s best friend. He is a ‘professional expert,’ a talking head that can glue any story together. Director Kris Elgstrand in Attendance!